Your carpet doesn't look right. There's a lump over there. That corner feels loose. There's a slight ripple running across the middle of the floor. Those flaws are becoming more noticeable and they're detracting from the appearance of your room. Don't worry. You don't need to invest in new carpeting. Carpet stretching and repair services from professional can solve those problems. Carpet stretching and repair in Castle Rock, CO is used when you want to make your carpet look as new again. This will practically remove the wrinkles on its surface and will make your carpet last longer. 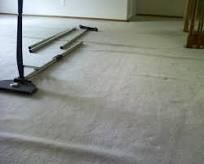 Carpet re-stretching is the best way to handle those unsightly problems. get the services of a good carpet repair expert who will make your house look as if is new, saving a small fortune in the process. Good carpet is expensive, and the price of installation can often run up the cost even more itself! You don't want to start from scratch when quality carpet repair can solve your problems at a fraction of those prices. Creaking floors are not only painfully annoying to listen to, but they can keep the kids up scared at night. These hard floors can be fixed though – by lifting up the carpet and repairing the damaged floorboards, your carpet can be relayed without any visible difference. Don’t put up with carpet problems any longer – call upon the services of an expert carpet cleaning company to repair the problems so that you can live in a home you are proud to call home! It can be overwhelming for many do-it-yourselfers and mistakes may create an unfortunate situation in which high-cost full replacement becomes the only remaining option. Therefore, those who aren't experienced with the task will usually want to deal with a carpet repair professional. An expert in Carpet stretching and repair in Castle Rock, CO will know exactly how to revive a carpet. After a couple of days, the carpet will start to blend in nicely especially if it is a traffic area where it is being walked on all the time.